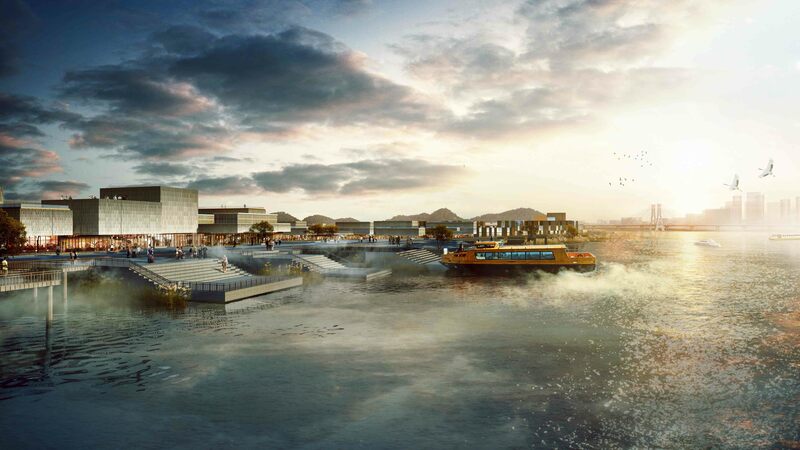 With the opening of the Chaozhou Bridge, Xianzhou island will be charming and attractive with excellent ecological environments and local living opportunities. Therefore, the future plans for Xianzhou island must provide visionary urban spaces which ensure the vitality of Chaozhou, but must also realize the expectations of local residences for a happy homeland and beautiful balanced life. Our design is developed with its inspiration in the existing fabric and conditions. Keeping two villages and part of farmlands on the island, the design intends to incorporate local traditions and nature. We conceptualize the landscape patterns from the farmland to form an overall grid, which organizes and guides the placement and development of new buildings and landscapes. The southern Xianzhou island as the main entrance for vehicles in the future. 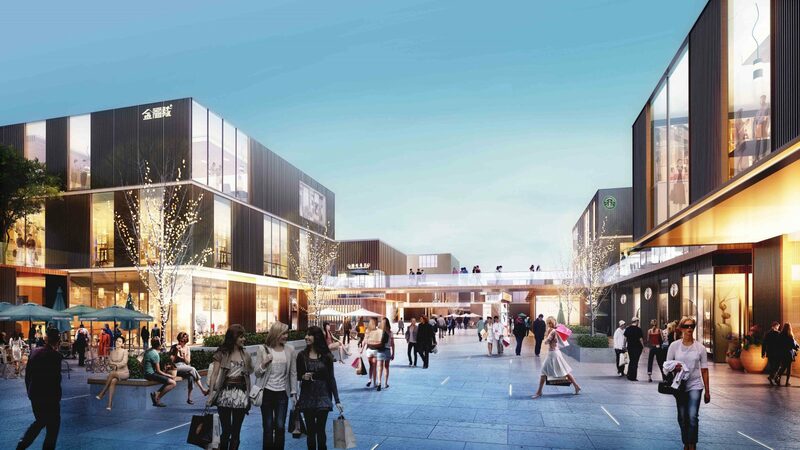 This gateway area will provide such functions as retail, catering, entertainment, tourism services and boutique hotels, creating the new world of Chaozhou and leading the commercial customer’s experience. 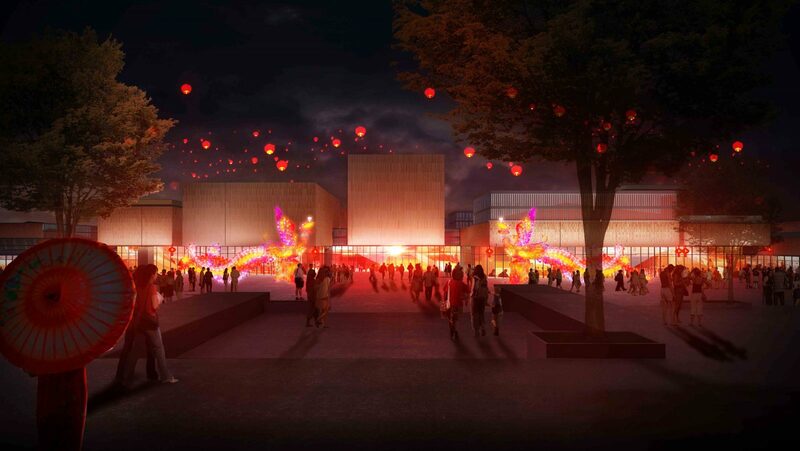 Xianzhou Cultural Plaza is located on the west coast of the island. 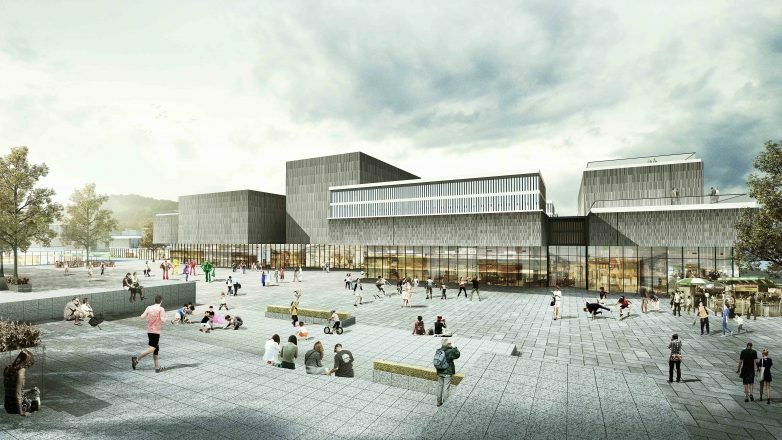 Xianzhou Cultural & Innovation Center, as a landmark building, provides the setting for public activities, cultural exchanges, small conferences and folk custom exhibitions etc. 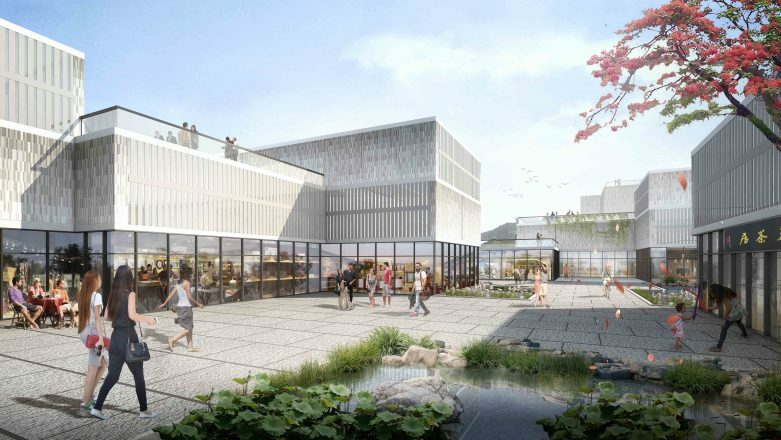 The creative incubation neighborhoods on both sides of the Xianzhou Cultural and Innovated Center are renovated old factories. 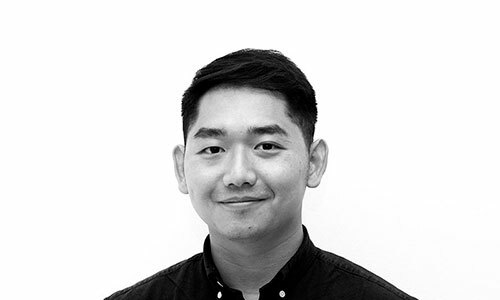 It encourages creative companies to set up working with the traditional culture and handicraft. The design focuses on the renewal of the old villages and encourages the participation of villagers, following the government’s guidance. It is by revitalizing the traditional architecture, rehabilitating and upgrading modern village houses, and demolishing and renovating shabby factories that the villages will become a viable and vibrant part of the plan. We propose the concept of a ‘car-free island’. 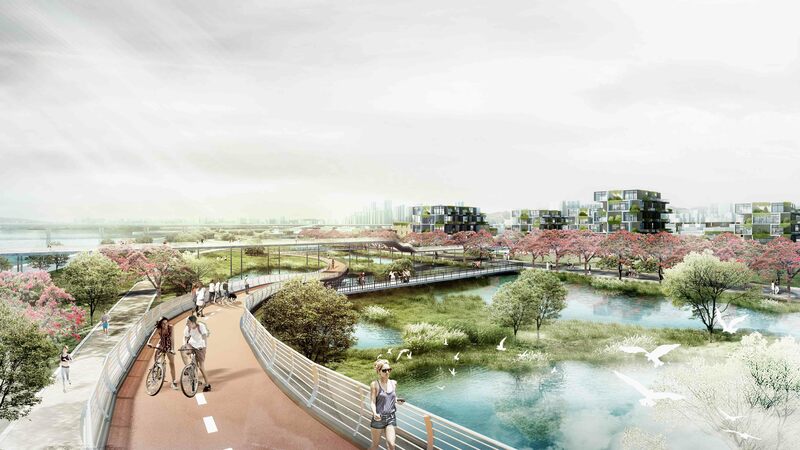 By optimizing and adjusting the existing vehicle ring road and planning bus lines, our design recommend citizen and tourists use green transportation. 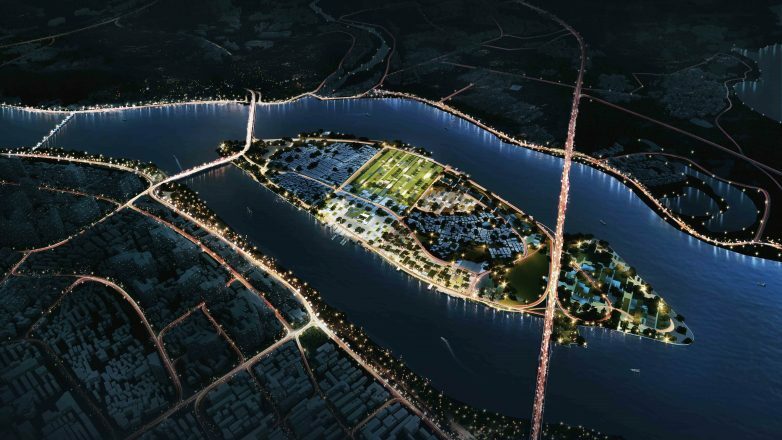 We propose to connect Xianzhou Island with other parts of the city via a water bus and add a pedestrian bridge for pedestrians and bicycles on the existing North Bridge side of the island. The water bus system combined with the public transport system will provide an interesting and sustainable public transport network for the future development of Xianzhou Island. 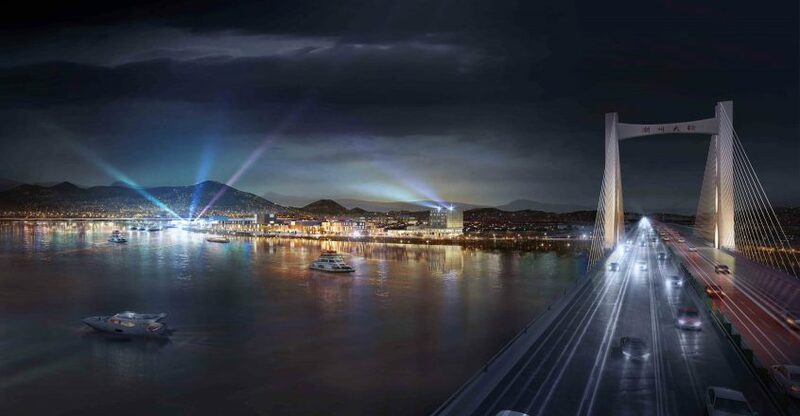 The non-motorized transport system, with the total length of more than 5.5 kilometers, connects the Hanjiang Bridge and two riversides. While riding a bike, people could experience different open spaces with different themes. The wester We envision a series of designs/interventions to make access to the water easier, combined with the existing infrastructure. With different soft and hard riverbanks and platforms, as well as the existing and new-built docks, the two sides of the river are closely connected city center and eastern new town is therefore linked together with riverside landscape. 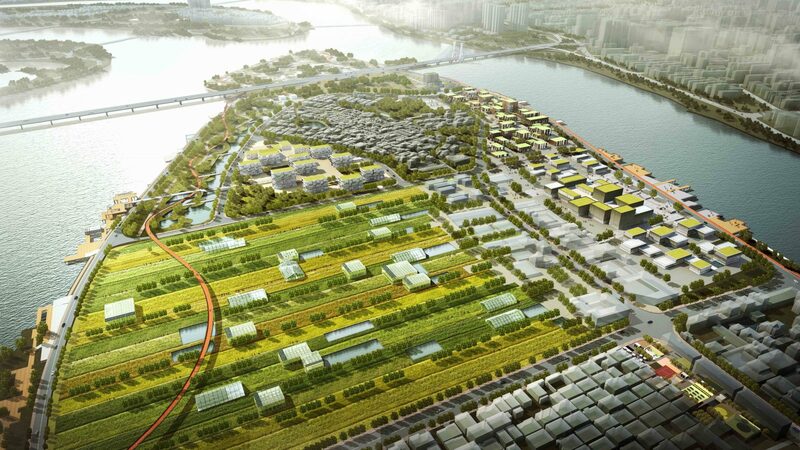 The farms are to be kept (at least the vast majority of them), and designed to urban ecological farming. Recreational paths would be developed in and around the farms for walking and running. 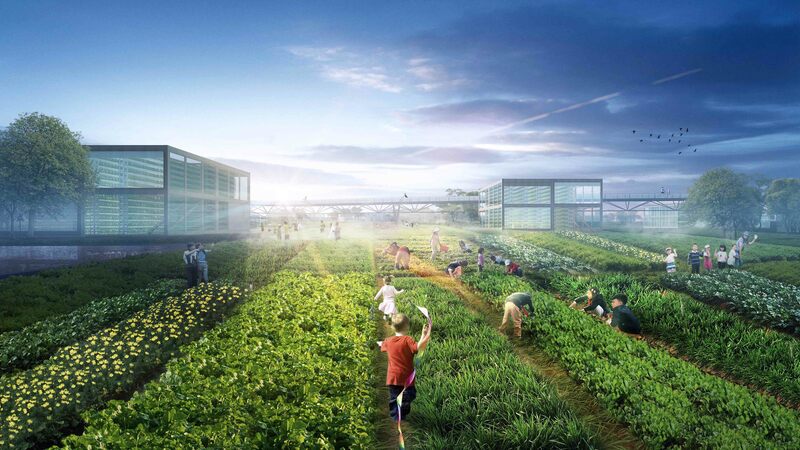 There could be various routes through the farm area: Fitness (running with exercise equipment dispersed along the route), Biology (for those interested in the plants and farming), leisure, etc. For the open spaces, we plan different themes and activities. The northern historical park will be focusing on its history and culture characters and qualities. We preserve an active street that from north to east through villages and factories, planning it into a pedestrian park. 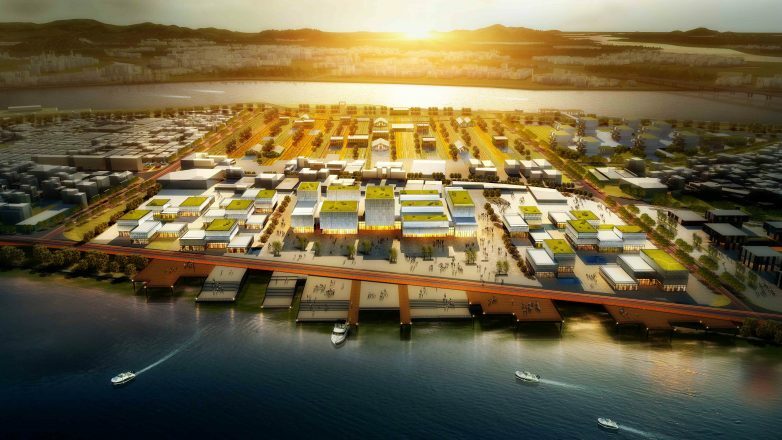 On the south of the island, we would set up sewage treatment facilities combined with the existing water and landscape. Creating a wetland park, which would offer educational and recreational facilities. 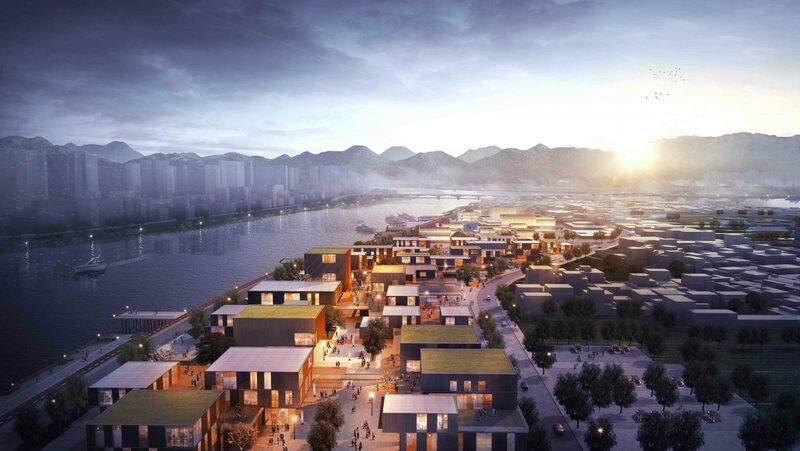 The fitness park is developed in the south, providing sports facilities for the citizens. 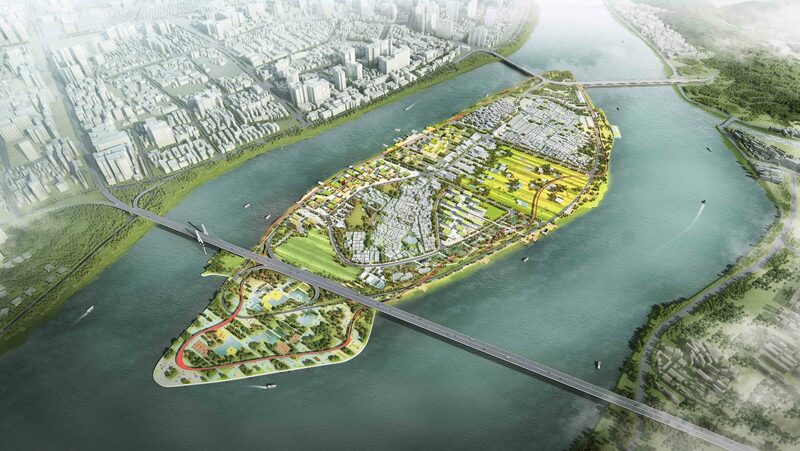 With these open parks between two riversides, Xianzhou island will be an eco-island, an energetic oasis.